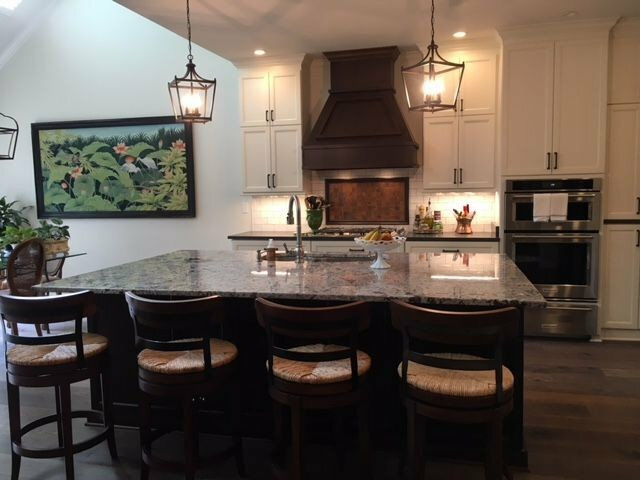 The focus was to create a bright, crisp, open kitchen and living room area of their recently purchased home. One challenge was to solve clearance issues around the island which hampered the accessibility of the existing appliances and the traffic flow to adjacent rooms. Another challenge was to increase the square footage of the laundry and to create a drop off area near the back door. 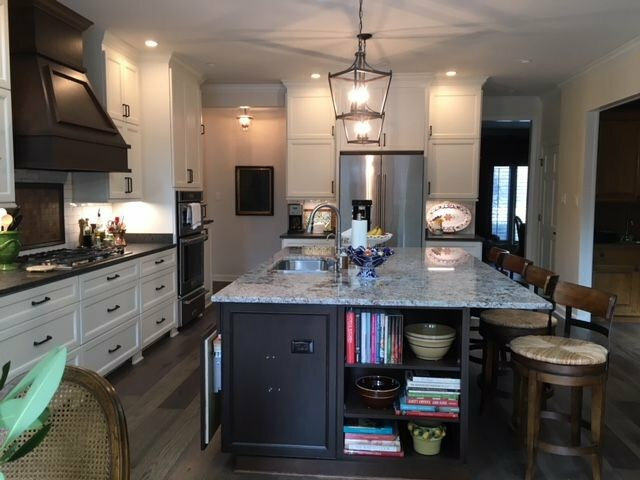 Therefore, a new space plan was created in order to maximize the work areas and minimize the physical and visual obstructions in the kitchen, wine cellar, pantry, laundry and half bath. The island now functions as the central gathering spot between the den, dining, and breakfast. There is easy access to the wine cellar, laundry and back door to the garage. Not only did the remodel help to make every day chores more pleasant and productive, but it also provided endless options for entertainment. The island and table seating area are visible to the the adjacent living space, creating a very inviting gathering space. 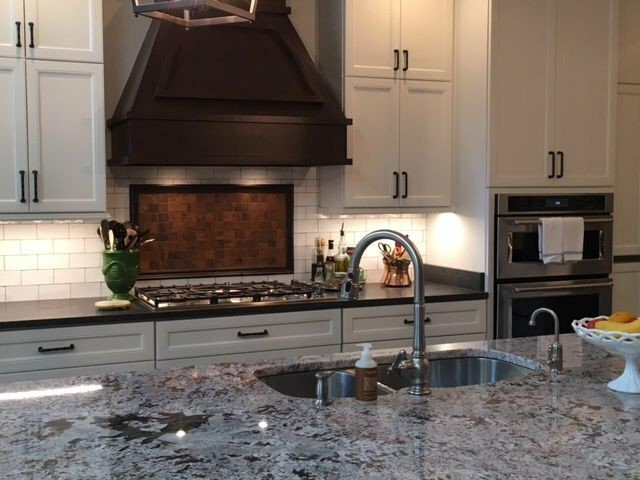 Copper decorative hardware and pendants, honed perimeter counter-tops, granite island, wood hood and stainless fixtures provide interest to this bright open work space. 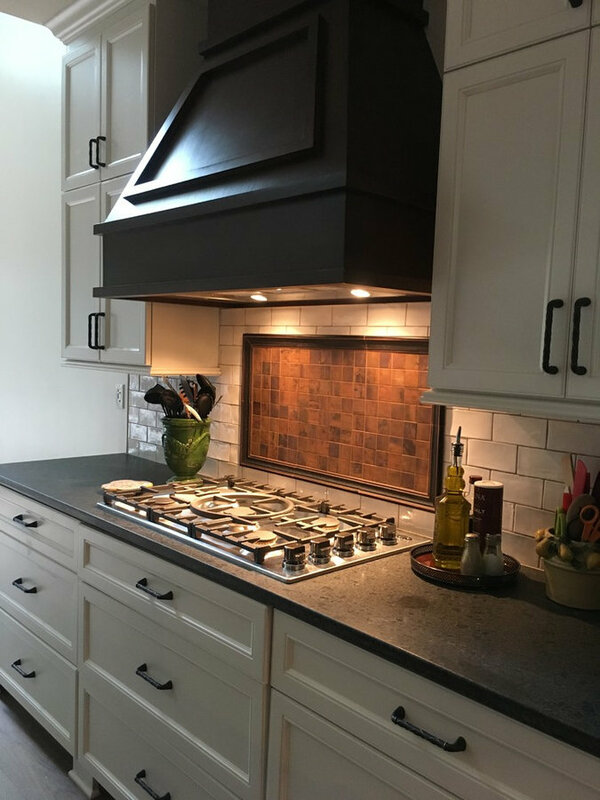 Copper decorative hardware and pendants, honed perimeter counter-tops, granite island, wood hood and stainless fixtures create all add interest to this bright open work space. 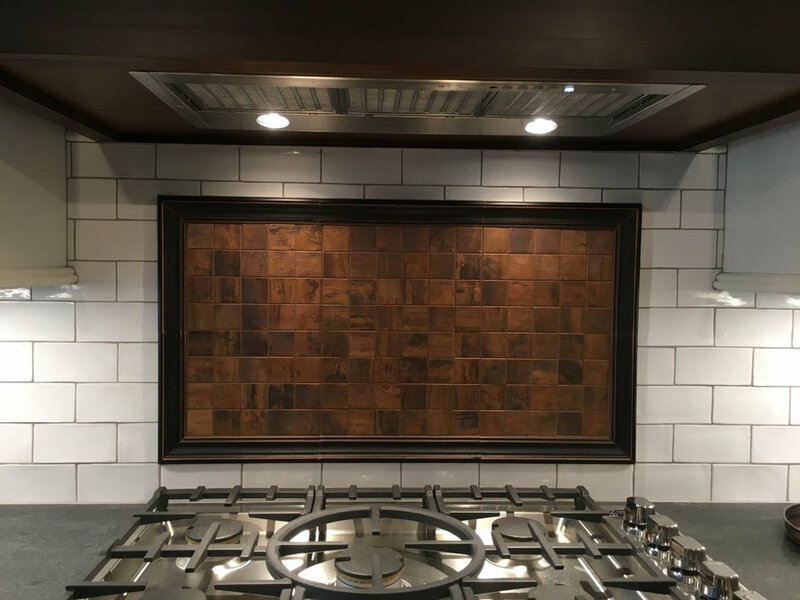 Copper tiles detailed by a wood picture frame insert becomes the focal and unifying element of the rich wood tone island and hood.